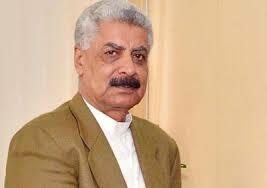 ISLAMABAD July 01 (APP): Minster for States and Frontier Regions, Lt Gen (retd) Abdul Qadir Baloch Friday said the option of forced repatriation of Afghan refugees is not under consideration by the time as Pakistan desires dignified return of Afghans to their motherland. “By the time no such option is under consideration. They had to go back by December 2015 but deadline was repeatedly extended. Now Pakistan economy can no more afford their burden,” he said in a private news channel program. regard and Pakistan emphasize on him to take concrete measures for their return. “It was our commitment to host them and repatriate in a dignified manner and we still stand by our commitment. Now, it is their turn to fulfill commitments and if they will fail, we shall look for other options,” he said. persuade the Afghan government and international community to manage their respectable return,” Baloch added. revisit the clause of voluntary return,” he added. and Pakistan is bearing their burden on its economy which is no more bearable for us.